inDependency Tour Peoria This Saturday Night! 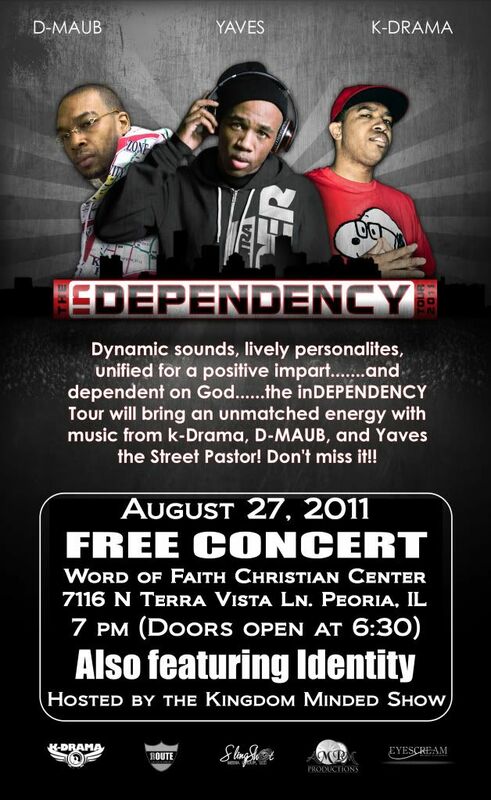 The inDependency Tour Peoria is going down at 7 pm this Saturday! Tell a friend! Click the picture for directions. This is a FREE concert! We are streaming a special "inDependency Edition" Kingdom Minded Show so you can preview of the artists music. Click the red bar at the bottom of the screen to hear it! Invite people to the Concert via Facebook here! Welcome to the Kingdom Minded Show! 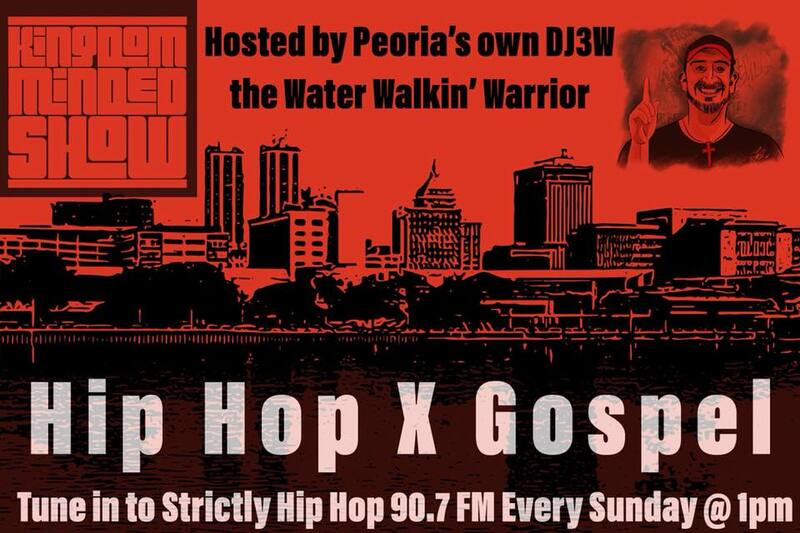 On this weeks show you can hear new music by Da Truth, Corey Red, Brinson, and Seda. We're gearing up for the inDependency Tour concert next Saturday, August 27. We're working out some last minute details so come back her often to see if we have any updates. You can follow us on Twitter @KingdomMindedRS for up to minute information as we finalize the event. One thing is for sure, it is going down in Tha P' next Saturday! Send us your e-mail if you'd like a reminder when we have all the information. Feel free to download this weeks episode here. This week we played new music by Uprise Clique, Reach Records, and Reflection Music Group. We also addressed the content in "Watch The Throne". On top of that, we issued a challenge to the listeners. You can find it toward the end of the second hour. We're gearing up for the inDependency Tour and could use your prayers as we are still seeking sponsorship or donations so that we can make this concert free for all. We hope something was stirred up in you to be more Kingdom Minded. If you would like to have a conversation regarding our thoughts on the Watch The Throne album, you can e-mail us at KingdomMindedRadio@Gmail.com or call and leave a message for us at 775-375-KMRS. We can call you back or reply and chop it up.